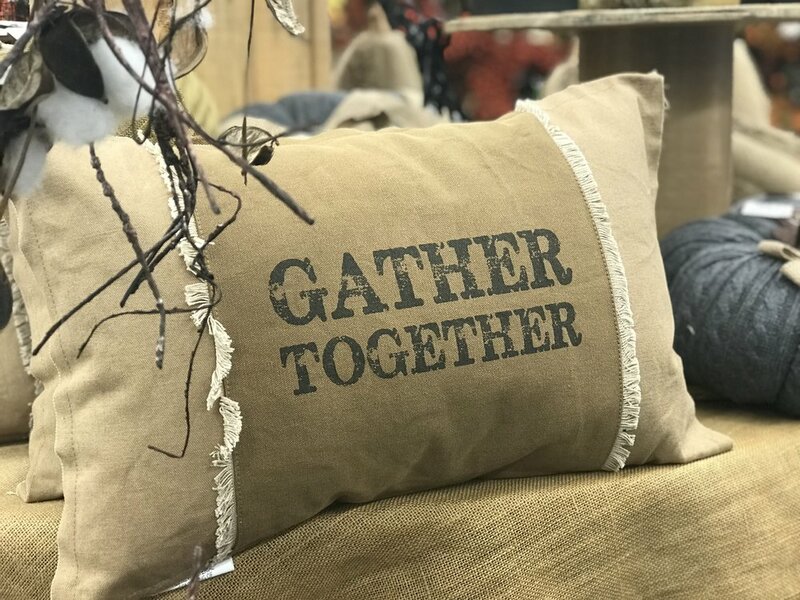 Get comfy and cozy with pillows from our Primitives By Kathy Collection for easy pops of fall in every room. IT’S SWEATER WEATHER! 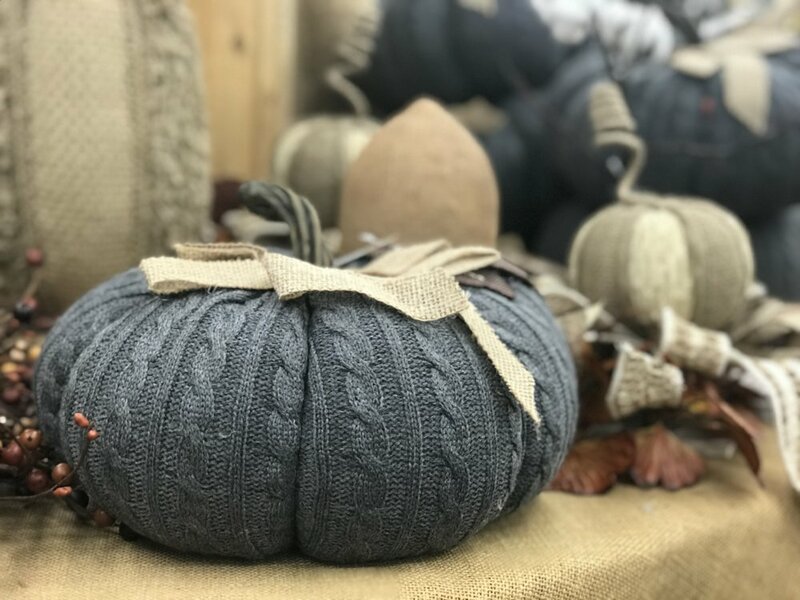 Pumpkins get chilly, too – but not these Knit Fabric Pumpkin Styles. Find them in assorted colors. 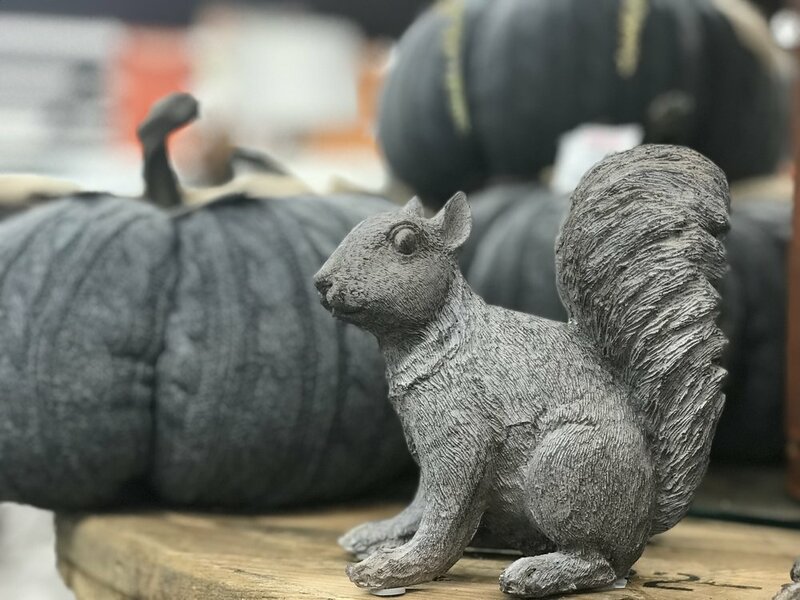 It’s not fall without the critters! From squirrels to owls, find nature’s furry and feathery friends all about in store. 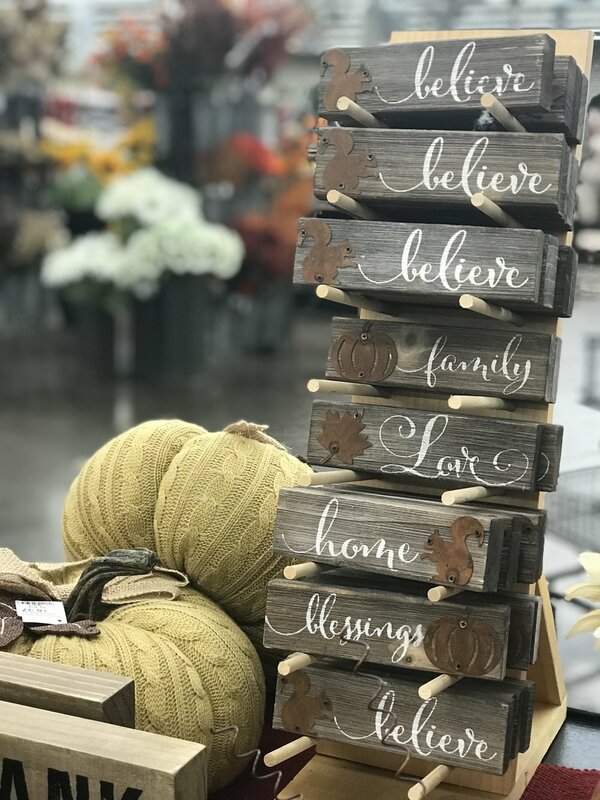 On the door, in the center of a DIY fall Wreath, or on the wall – woodslat signs are oh-so-cute and oh-so-trendy. 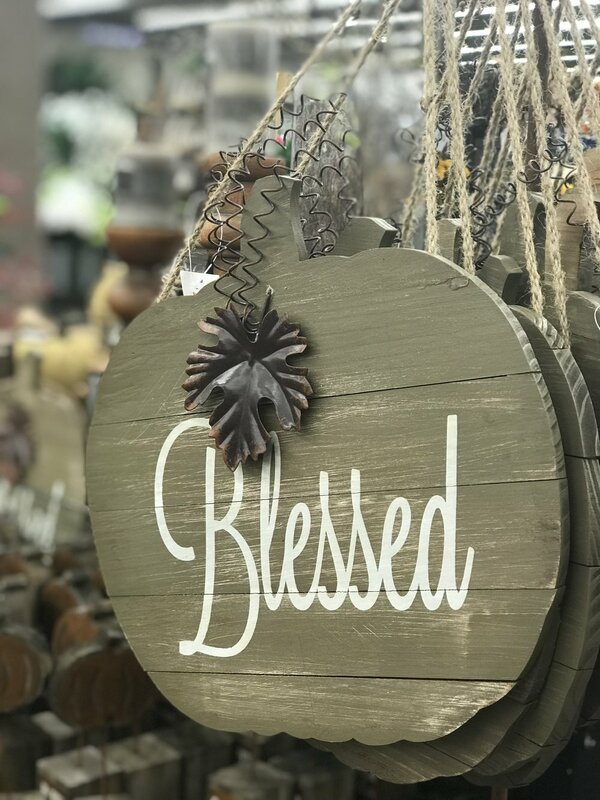 Hang them on a beautiful Fall tree or string them on twine for a rustic garland, these wooden ornaments are easy to fall for. 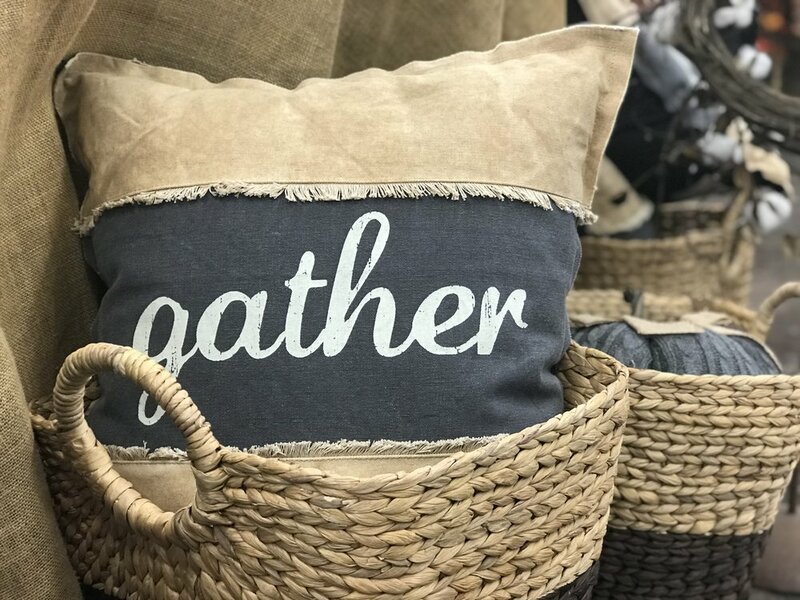 Perfect on a mantle, shelving and more, these word block collection highlight the best part of the Fall: believing in the season of love, family, gatherings and friends. 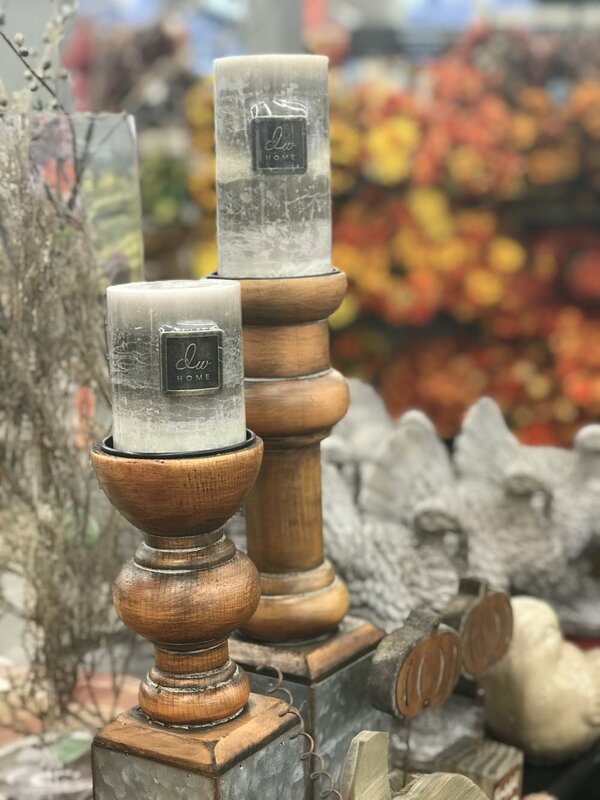 Warm up with the glow and scents of the autumn season with our collection of candle holders and candles. 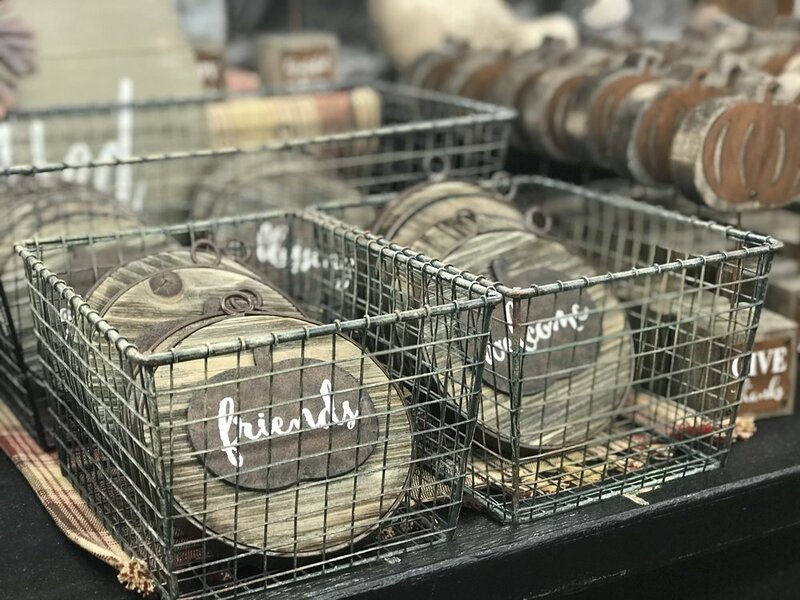 Discover the best scents from all the best brands, including Yankee, Colonial, Woodwick and more. When it’s Fall…put a pumpkin on it! 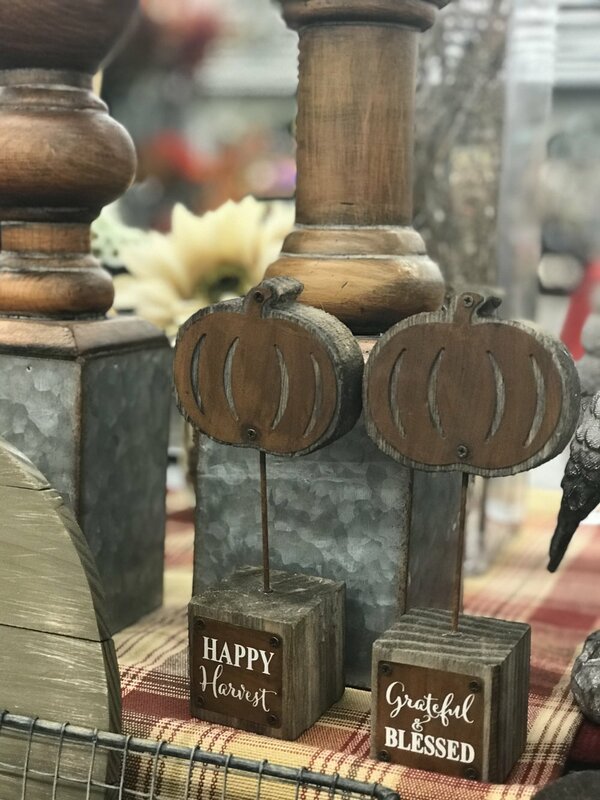 You can’t go wrong with these cute pumpkin word blocks to welcome the season.